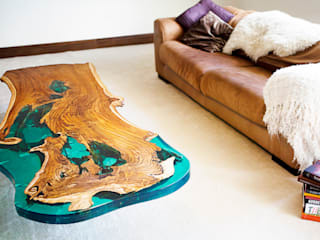 My name is Neil Scott, I am a Oxford-based furniture designer who creates bespoke furniture from sustainable wood for clients around the globe. My work was met with great acclaim at this year’s Grand Designs exhibition in London. What characterises my approach to creating a new piece is my interest in the story of the tree that the piece was created from. 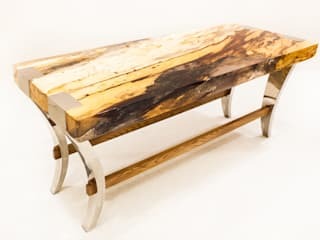 Through my open acknowledgement of the imperfections in the wood, I cherish and celebrate the history and provenance of each piece and I respond to its story and form to create bespoke furniture that transports the elegance of nature into the home. As a highly skilled craftsman, I enjoy mixing traditional and organic creativeness with techniques that echo modern construction methods. 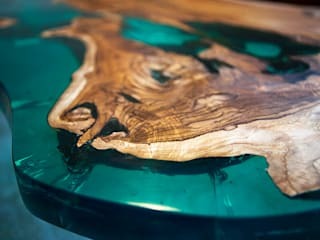 I use different timber types and metals to create designs for interior pieces - such as tables, desks and shelving units – and can incorporate other materials such as resins and glass. 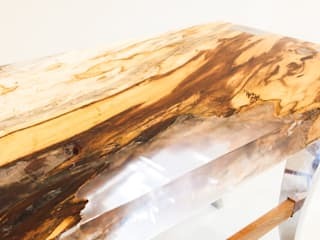 The use of wood, metal, glass and resins coming together, give my designs a distinctive architectural feel, creating true statement pieces, which are as much about touch as aesthetics. 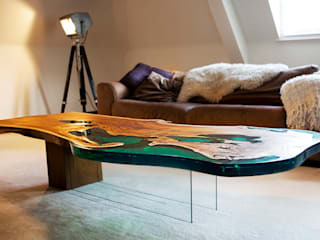 The table is an integral part of any home, where all the joys are shared around which generations tell their stories. 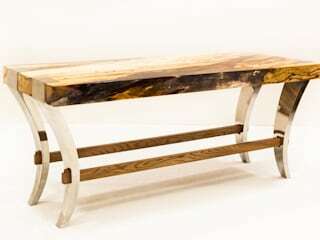 I like feeling and working with the wood in the knowledge that each table is to become a lifelong companion; a part of the family history; ever loved and ever evolving; constant and timeless.